"While there look to be great things ahead for the next-generation Leaf, the 2016 Nissan Leaf changes should impress Indianapolis and Greenwood drivers. 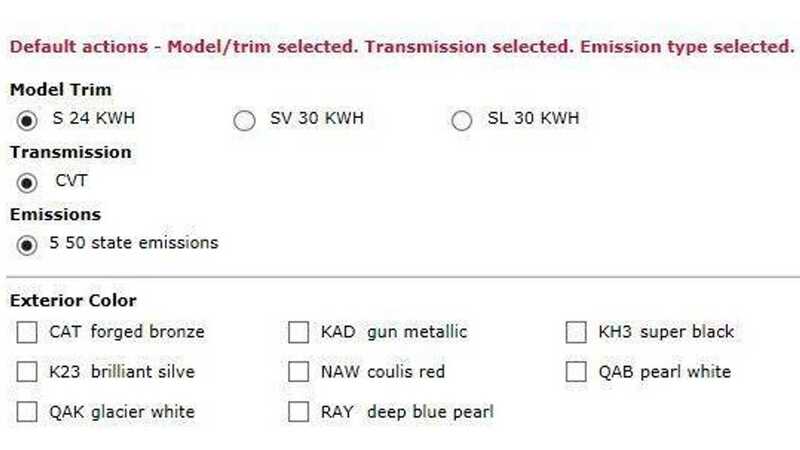 Despite being the end of the first-gen Leaf, the new model will have significant updates from the 2015 Leaf. The 2016 Nissan Leaf release date and pricing are still tentative, but we do know a bit about what you can expect from the new model as well as features we think will carry over when it debuts." "While there are many features that make the Leaf a popular vehicle, there is one thing it's known for above all else: its battery. 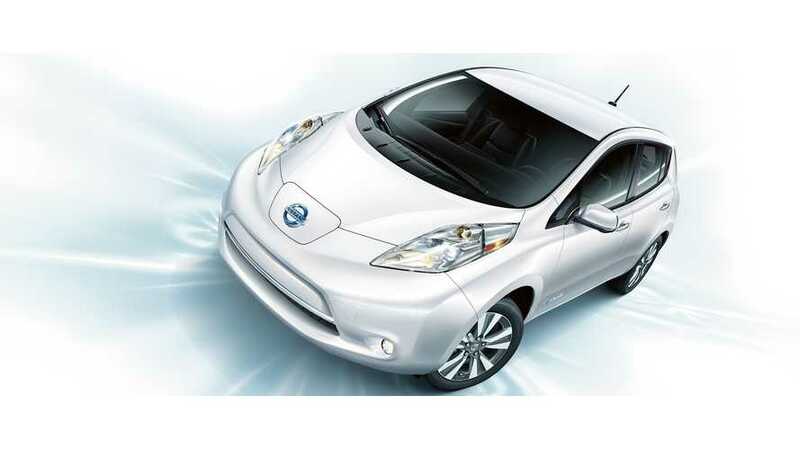 The 2016 Nissan Leaf redesign will bring a first to the electric car: your choice of two different batteries. The standard Leaf will come with the same battery as the 2015 model, featuring an EPA-estimated driving range of 84 miles. Drivers of higher trim levels will enjoy a battery with as much as 25% increased capacity, delivering a driving range of as much as 110 miles. The majority of electric cars only feature one battery option, and by providing drivers with their choice of a lower capacity battery if they don't intend to drive long distances, the new Leaf can find a home in even more garages." 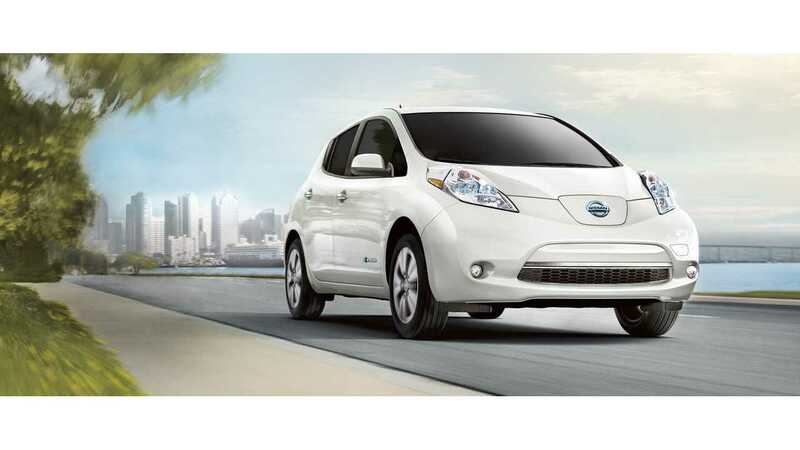 "With the market demanding a longer range LEAF to better compete against the likes of the next generation of Chevrolet Volt and other new EV offerings, the current generation of Nissan LEAF will be getting a larger 30 kWh battery for the higher trim levels of the car this Fall. As for the new battery sizing’s effect on range, we feel the 2016 LEAF (SV/SL) could have an EPA rated range of about 105 to 110 miles. (170 to 180 km of real world driving)." Hat tip to Ricardo Borba & David Laur!